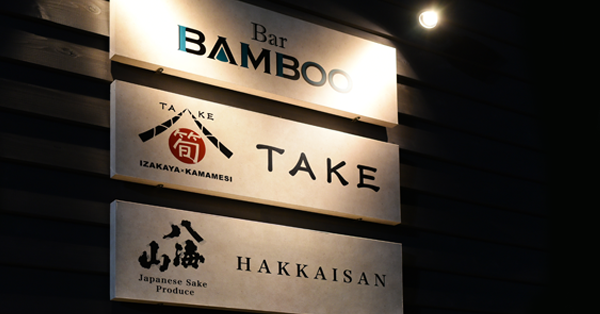 Opened in December of last year, the “IZAKAYA x KAMAMESI TAKE has closed business for this season on 8 April 2018. Although it was a recent business during the first year, a lot of local and foreign visitors came to visit us, We would like to express our gratitude to all. Our staff will continue to improve their service on the next season. We are also working on developing a menu that will make everyone happy. Please expect “IZAKAYAxKAMAMESI TAKE next winter season! Hakkaisan Izumi Village, although not a Japanese-style pub, the Italian restaurant staff is waving their arms so please come. Delicious food and Osake are waiting for you. New Year Countdown at Bar BAMBOO! We will do a Countdown Event!